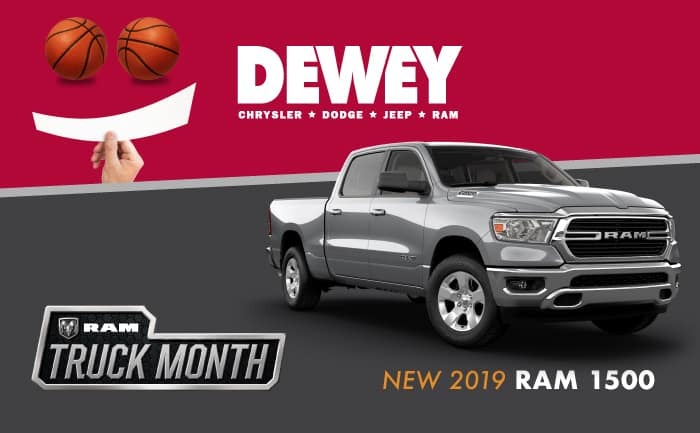 Ram Trucks was established as a subsidiary of Chrysler in 2009, as a spinoff from Dodge, using the name of the popular Dodge Ram line of pickups that is now sold under the Ram banner. If you are in the market for a pickup truck, then you are sure to be pleased by what Ram has to offer: bold styling with an aggressive “grille-forward” design, interiors with premium materials and innovative features, and big power from a choice of engines, making it ideal for work and play. 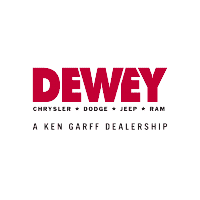 If you’re looking for a reliable truck that can get the job done, no matter how heavy, or hard it may be, check out the Ram truck series and give us a call at Dewey! For 2012, the Ram 1500 gets updated with a 6-speed automatic, replacing the 5-speed automatic transmission, and ST trims now have a black grille and bumpers.The RAM 1500 offers a huge selection of cab styles (regular, Quad and Crew cabs), three different wheelbases, 4×2 or 4×4 drive types, and 3.7-liter V6 or 4.7-liter V8 or 5.7-liter HEMI V8 engines. Electronic and infotainment choices include a multimedia system with 40-gigabyte hard drive, navigation system, and a rear-seat DVD entertainment system. The RamBox cargo management system, available on the Crew cab, includes lockable, illuminated storage bins built into bed rails. The 2012 Ram Heavy Duty models, the Ram 2500 and Ram 3500, are comfortable and highly capable, ready for serious towing or heavy hauling. Changes for 2012 include a new 6-speed automatic for the gas engines, new steering wheel controls, a RamBox option for short beds, a black front end on ST. An updated MaxTow package was introduced mid-2011. Two Power Wagon models join the range for 2012. The Ram Heavy Duty models will work for anyone who has work to do, be it hauling construction tools and materials, plowing driveways or dragging around big trailers. They remain a compelling choice for anyone in need of a heavy-duty pickup truck. Ram 2500 comes standard with the 5.7-liter Hemi V8 and 6-speed automatic, no manual is offered. The optional Cummins 6.7-liter turbodiesel is available with a 6-speed manual or 6-speed automatic. Ram 3500 models come standard with the Cummins diesel.